From hot cross buns and chocolate eggs filled with marzipan and praline bon bons to the classic brunch, a round-up of Easter dining essentials across the city. THIS Sunday, take the Easter celebrations up a few notches with live music, lavish brunches, high tea and exotic goodies like Bavarian torte and tsoureki, besides the staples a�� candy-filled eggs, chocolate bunnies, egg hunts and hot cross buns. Pick your favourites from five-star hotels, cafes and independent bakers, who are all set with extravagant spreads and some surprise gifts for this weekend. Indulge in Spice Haata��s brunch that includes stir-fried lamb, beef Wellington, peach-glazed ham, eggs Benedict casserole with hollandaise sauce and tsoureki (Greek Easter bread). Also, dona��t miss the Easter treatsa��like chocolate eggs filled with candies and flavoured breada��at Biscotti. Brunch at Rs 2,150++ onwards. Details: 61001234. For the first time, Westin will offer pizza topped with turkey mortadella at their Easter brunch. Also expect makai shazaadi, baby lobster tails and apple Bavarian torte. At Seasonal Tastes, from 12.30-4 pm. Rs 1,700 ++ onwards. 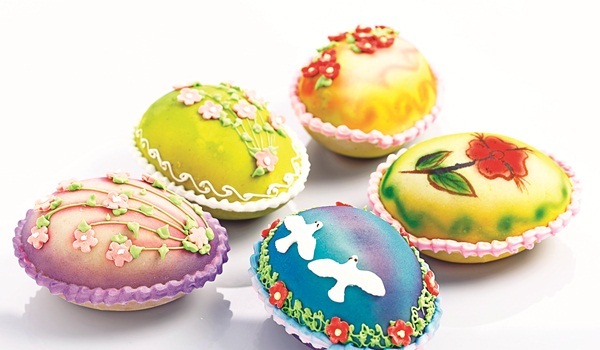 ?A�A� Smitha Kuttayya, a city-based baker, will home deliver Simnel cakes and tarts, dressed and stuffed roast chicken, carrot cakes, chocolate mousse and Coorg-style pork curry this Easter. Rs 60 onwards. Orders close today. Service available till March 31.